Modern Times Helpline Pharma are the leading suppliers, exporters, dealers of Lamivir HBV Cipla Tablets at very cheapest and reasonable price in Delhi-India. We are leading suppliers & exporters of Lamivir HBV Cipla Tablets in China, Russia, Hongkong, Bulgaria, Romania, India. We offer wide range of Lamivir HBV Cipla Tablets , the cheapest sellers in Delhi. Lamivir HBV Tablet is a medicine that is used for the treatment of Hiv Infection, Hepatitis B Virus Infection and other conditions. Lamivir hbv tablet prevents the multiplication of HIV virus in human cells. Thus stops the HIV virus from producing new viruses. 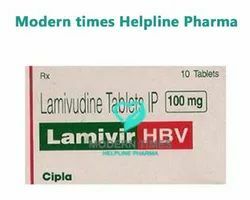 Warning: Lamivir HBV medicine out of the reach of children and away from pets, never share your medicines with others, and use this medication only for the indication prescribed. The information contained herein is not intended to cover all possible uses, directions, precautions, warnings, drug interactions, allergic reactions, or adverse effects. 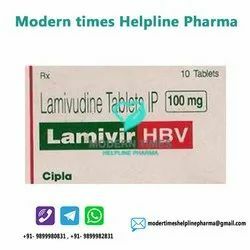 lamivir hbv 100 mg tab, lamivir s 30 Suppliers India , lamivir hbv 150mg exporters India,lamivudine Dealers India, tab lamivir 150 mg exporters Russia-china, tenvir suppliers-exporters india-delhi, hbsag tablets dealers india-russia-china, Buy lamivir price in Russia, Online lamivir price in Delhi, Buy lamivir price in India, online lamivir price in China. Modern Times Helpline Pharma are the leading suppliers, exporters, dealers of Lamivir 100mg & Lamivir 150mg at very cheapest and reasonable price in Delhi-India. We are leading suppliers & exporters of Lamivir 100mg & Lamivir 150mg in China, Russia, Hongkong, Bulgaria, Romania, India. Lamivudine belongs to a class of medication called nucleoside reverse transcriptase inhibitors. It decreases the amount of virus (HIV and hepatitis) in the blood. It also increases the number of infection fighting cells in the body (CD4 cells). It does not cure HIV completely but reduces the chances of getting acquired immunodeficiency syndrome (AIDS) and HIV related infections or cancer. Warning/Note: Lamivir is a prescription drug and should be used under proper medical guidance and advice. Do not share the medicine with others, since they may be suffering from a problem that is not effectively treated by this drug. Before eating/consuming any medicine kindly do consult with your doctor / Medical adviser / Nurse / Hospital /medicine Institution / Health advisor or pharmacist/ medicine healer. Do not indulge in self medication using internet information.